Spending a “girls weekend” in Dripping Springs meant we needed a great place to stay. We decided to check out AirBnB for this trip and we were so glad we did! 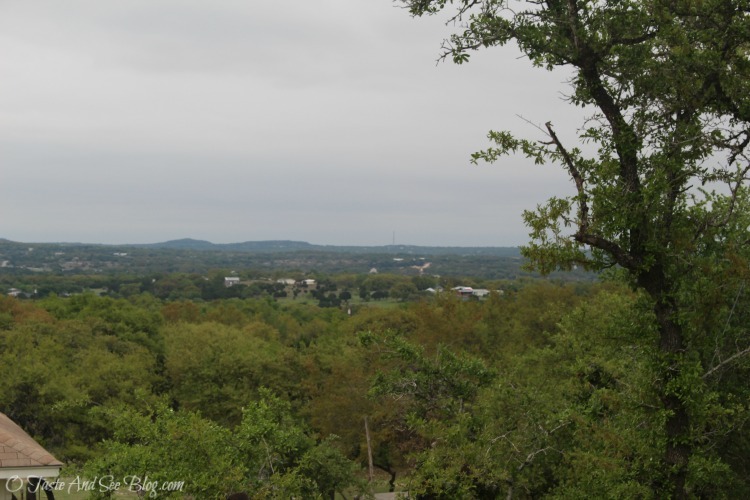 There were several places in the area but in keeping with the remote location and setting, we chose Sugar Magnolia Farm Hilltop View RV. The pictures online were beautiful and I was excited but I have to be honest, it was a little out of Jen’s comfort zone…. at first. But as soon as we saw the view, the beautiful RV with everything you could ask for and met our gracious host, Julie and her sweet family she was completely sold on the idea of “camping”. Like the description says, it’s a farm, complete with all the traditional farm animals…. Chickens, ducks, sheep, baby goats…. Which we got to hold, even though their mom didn’t seem too happy about it…. 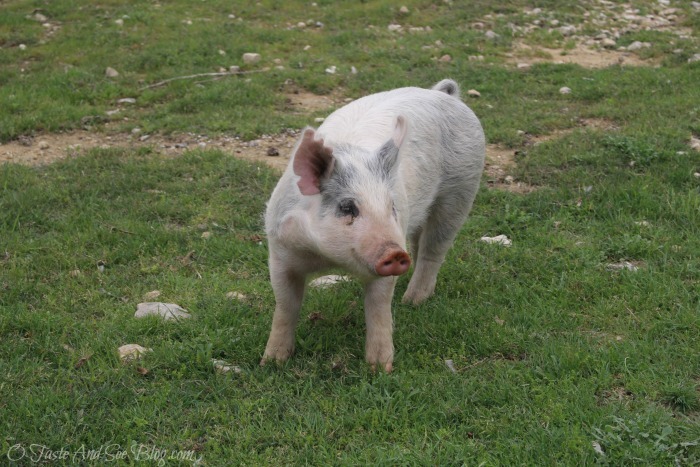 And best of all, a pig,,,,named, what else but……Wilbur! Who loves to have his belly scratched! After being introduced to all the animals, we went back to our home away from home to relax. And what exactly does “relax” look like when you travel with a food blogger? Homemade steak dinner, comfy PJ’s (which you’re NOT getting a picture of) and staying up waaaay past this girl’s bedtime watching old movies…..from the 80’s. LOL! I can’t say enough good things about our host, Julie, and her family. They went above and beyond to make our stay amazing! I you’re visiting Dripping Springs, I highly recommend staying with Julie! After a great night’s rest in such a peaceful place, we ready and raring to go at the crack of…… 11:00 am! I’m jealous! Looks like a super fun girl’s weekend! Who knew I would love to “camp” and snuggle goats! It was a wonderful weekend away! LOL! Who knew! I was fun!